The Deltec shunts are calibrated with an accuracy of +/- 0.25%. 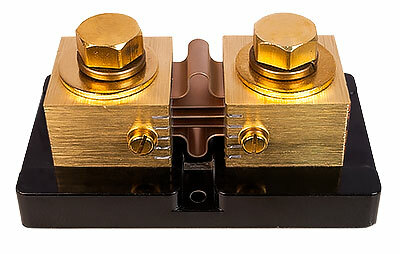 This is the 1000 amp 100 miV shunt, It is larger in size than the 500 amp shunt so items like the WBjr will not directly fit this shunt. the bolt size is 1/2 inch.